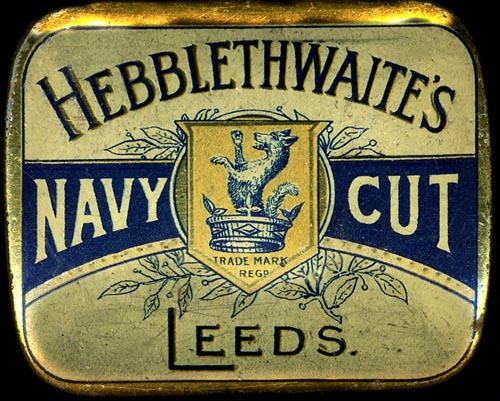 It features the Hebblethwaite crest and suggests that a Hebblethwaite in the past was involved with the tobacco trade in Leeds. Dimensions are approximately 60mm x 48mm x 23mm. If you can supply any further information on the age and background for this item, please do not hesitate to contact me through my Contacts & Links page.